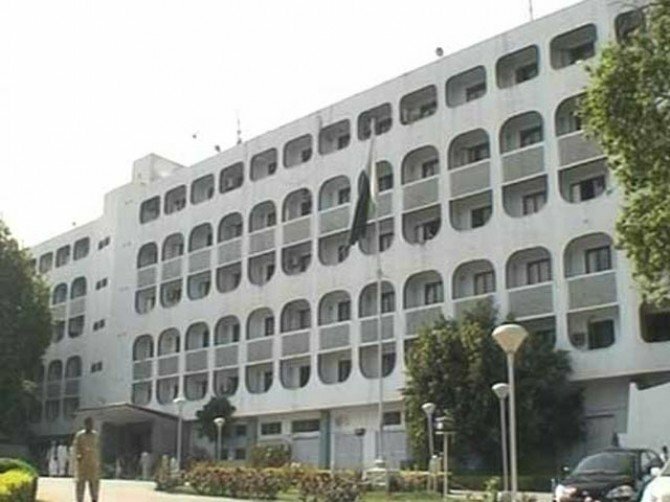 ISLAMABAD: The Foreign Office summoned Indian Deputy High Commissioner JP Singh in Islamabad on Friday to lodge a protest over unprovoked ceasefire violations by the Indian occupation forces along the Line of Control yesterday in Bhimber and Samahini sectors. The firing by heavy mortars resulted in the martyrdom of an innocent civilian, while his wife and child got injured. The Acting Director-General, South Asia told the Indian envoy that deliberate targeting of civilian populated areas is indeed deplorable and contrary to human dignity, international human rights and humanitarian laws. Ceasefire violations by India are a threat to regional peace and security and may lead to a strategic miscalculation. He urged the Indian side to respect the 2003 Ceasefire arrangement, investigate all incidents of ceasefire violations, instruct the Indian forces to respect the ceasefire and maintain peace on the LoC and the Working Boundary.